The Bone node is one of the main node used to build a deformation rig. Each Bone node consists of a bone and an articulation. Chaining Bone nodes will create a skeleton chain for your character. 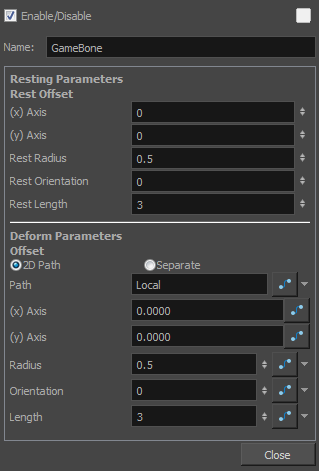 The Rigging tool can be used to create and connect those nodes automatically—see About Basic Deformation Chain Creation.